The Parish Church of St Cuthbert and St Mary is closed when we get to Chester-le-Street, a great shame considering his body rested here for 112 years. We try the door a few times, step back and shrug, look at each other in disappointment. This was also the place where, in the 10th century, Aldred added an Old English gloss between the Latin lines of the Lindisfarne Gospels; the first ever translation of the Gospels into English. This was the end of the seven year journey of the Community of St Cuthbert. Arriving in 883, they built a timber church, thought to be on the same spot of the church we’re standing outside now, which was started in 1056. It’s been suggested that the Community never intended to stay as long as they did, and that was why their church was built out of wood. After all, there was plenty of useable stone nearby – as this was previously Concangis, a Roman fort of some importance. It has also been suggested though, that this church was built from wood because the church on Lindisfarne in which Cuthbert had been buried in 687 was built of timber. Those that state the wanderings of the Community of St Cuthbert were not the aimless panicking of refugees but a powerful church visiting its territories and bolstering Christianity; well, they would insist here was a place strategically vital; further South than Lindisfarne, closer to the power struggle between Dane and Angle. The more romantic version suggests Guthred gave them this place because , thanks to a vision of St Cuthbert, Abbot Eadred was able to help place the Dane onto the throne from his enslavement. But all this is going through my head and Paul is looking at me as if to say; what now? And so I cross the road and try the door; it’s locked but there’s someone inside. I bang a few times. A woman looks over and ignores me, pretends she hasn’t even seen me. I bang a few more times and then give up. Ah well; we’ve been here before for the St Cuthbert’s Day Walk with The Northumbrian Association, and we’ll come here again. And so we wander around outside for ten minutes and then climb back in the van, pulling over in a housing estate to clean the scratches off its side so we don’t get charged extra when we return it in two days’ time. And then we head off down the A1 towards Ripon. 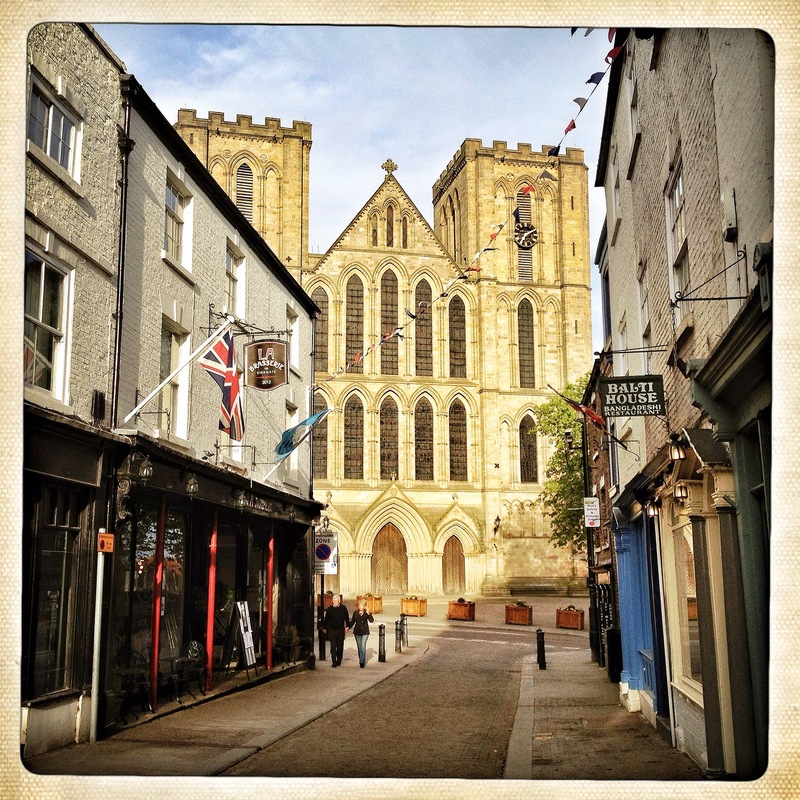 After a night on a cold bare dale above Leighton Reservoir, we drive down into Ripon. This beautiful cathedral city is associated with Saint Wilfrid, for some the pantomime villain to the more austere and humble Cuthbert. It was Wilfrid who successfully argued for Roman Christianity at the expense of Celtic at the Synod of Whitby in 664. Wilfrid’s trump card, apart from his fancy clothes and love of fine things, important when trying to convince a King, was his assertion that Rome followed the teachings of St Peter, and it was he that held the keys to heaven, given to him by the Lord himself. And so King Oswiu chose future glory alongside the Roman Empire, and the promise of everlasting life in heaven, rather than stick to the simpler Celtic Christianity brought from Iona by St Aidan. As we catch first sight of the splendid Cathedral I encourage Paul to make booing noises but he’s having none of it. Wilfrid, a controversial character expelled from Northumbria a number of times, responded to his exclusions by simply seeking more glory and converting more people to Christianity. The first time he was expelled he went to Rome itself. Later he was protected by the King of Mercia and fostered missionary work in Frisia. We wander around the Cathedral, founded by Wilfrid himself, with the current church dating from the late 1100’s. The Community of St Cuthbert journeyed south to Ripon in 995, escaping further Danish threats after 112 years at Chester-le-Street. Who knows what they’d have thought about entering the monastery here, bringing with them the body of St Cuthbert, the head of St Oswald and bones of St Aidan, all precious relics of a bygone Celtic age. Cuthbert had followed his beloved Abbot Eata to Ripon in the late 650’s, but they were expelled by Wilfrid for refusing to follow the Roman customs. Eata and Cuthbert went back to Melrose. Soon Cuthbert would be prior of Melrose and then Lindisfarne. Eventually, he would give into demands and leave his Farne hermitage to become Bishop of Lindisfarne. The Cathedral is as beautiful as we expect. I buy a guide and flick through it. There’s no mention of Cuthbert, either alive or in a coffin hundreds of years later. They’re proud of their own man, Wilfrid. The Community of St Cuthbert stayed at Ripon for only a few months and then headed North again. It’s said they were heading back to Chester-le-Street but a miracle made then falter and find another site. Cuthbert himself wanted to be taken to a place then called Dunholme, and it was here that his body rested permanently. 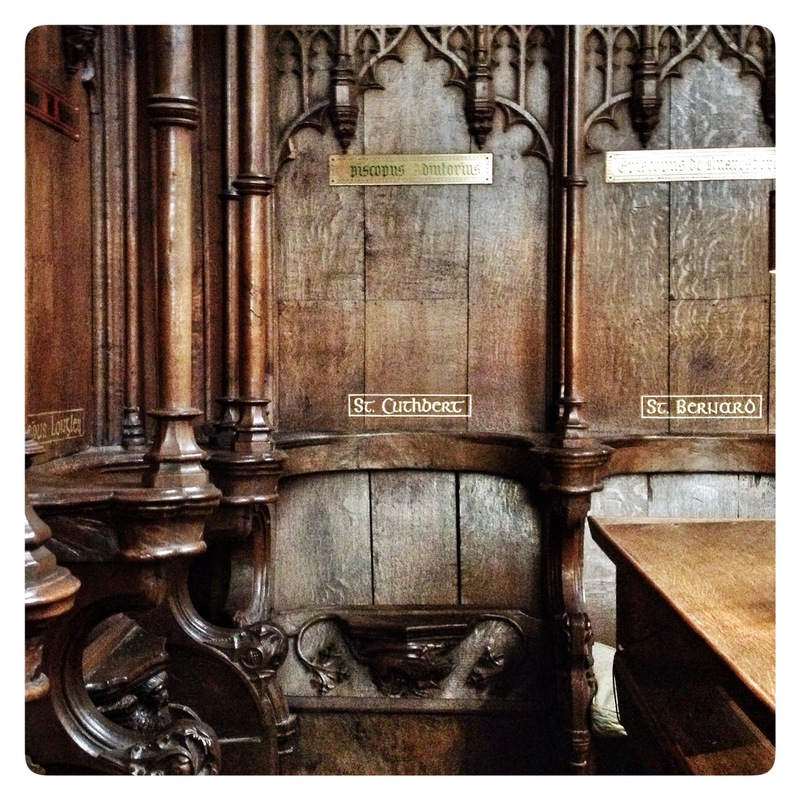 This is where his shrine still exists, in the great Norman Cathedral of Durham. It was, indeed, a shame you couldn’t get access to the church at Chester-le-Street. We Christians can’t complain if folk can’t get into church when they want to, can only do so on our terms and when it’s convenient for us, then turn round and complain the numbers of folk coming to services or joining are falling. Poor old Wilfred, he does get a bashing where Celtic Christianity is concerned. But I suppose we should be thankful for his continuing to preach the Gospel in and around Ripon whether we agree with his approach or not. The rest we have to leave in God’s hands. 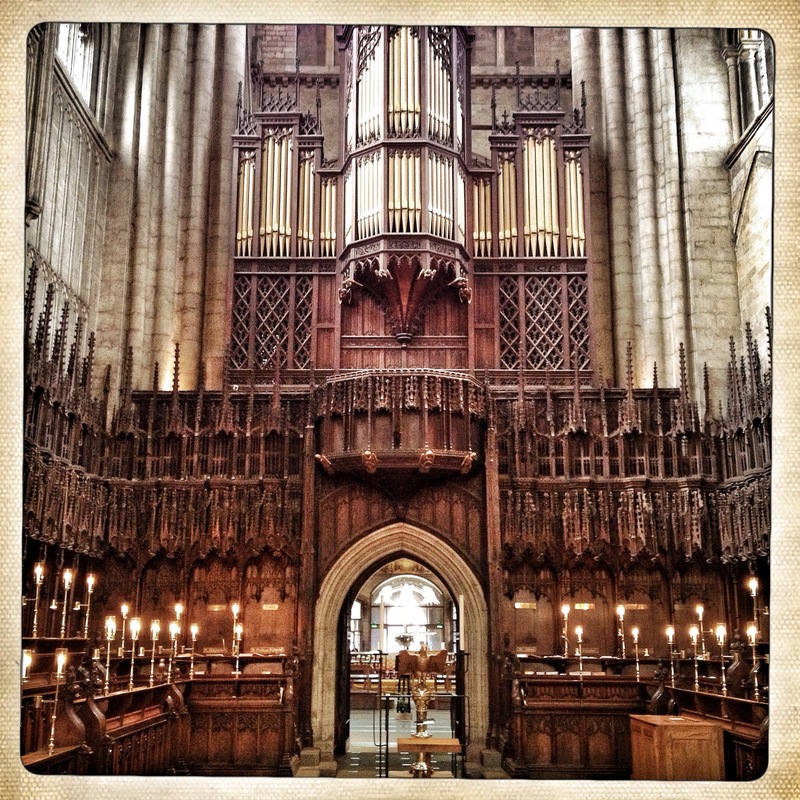 That is a stunning picture of Ripon cathedral, Paul! The triple doors to the golden church looks ethereal, like the doorway to the kingdom of heaven. Another story about Chester-le-Street links St. Cuthbert to the site. Both the anonymous Life and Bede’s Life of St. Cuthbert note a miracle of food appearing in the thatch of a shepherd’s hut where the saint had taken shelter (his horse nibbles on the thatch, and down drops a warm loaf of bread wrapped in a cloth). The anonymous life names the place as Kuncacester. It is a stunning picture isn’t it? In fact, the weather was perfect for a good deal of the trip, according to Paul. A bit windy but usually the best combination between blue sky and cloud, giving great light. I know of that miracle relating to Chester-le-Street kljolly and it will probably be in the finished book. I researched the time period for months but found, when travelling, we were so busy I only had time to write the more personal and immediate stuff – not my usual way of writing. 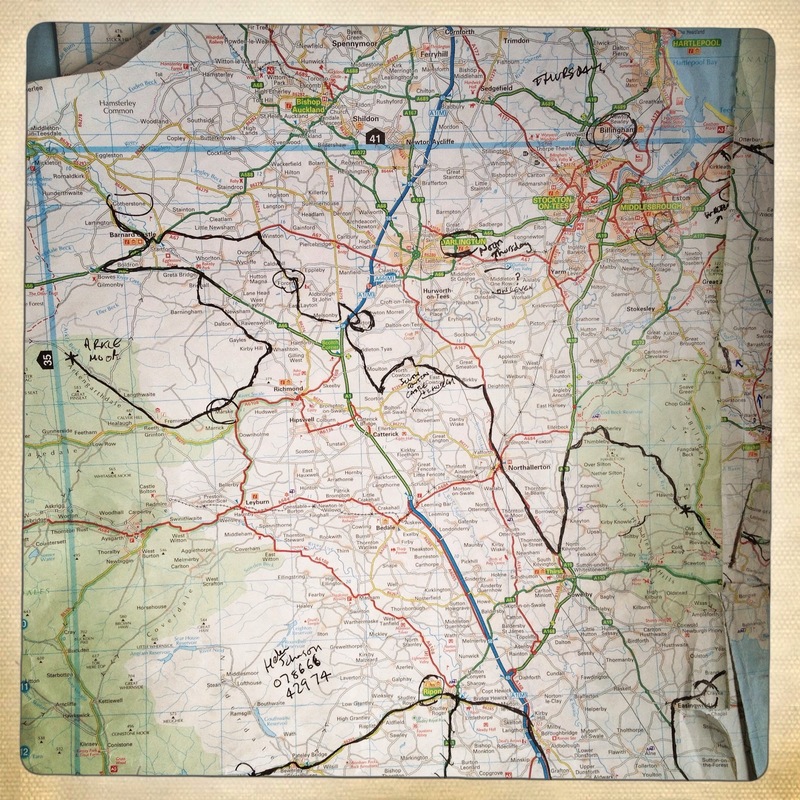 The book will contain much more depth alongside our personal journey, as well as a history of every place we visited…. Wow, this is a lovely piece of writing Richard. So many years nicely woven into such a concise tapestry of knowledge. I will boo Wilfred along with you – after much reading (as you know) I just cant find much that I like about the man. I can only imagine the frustration at the Synod of Whitby, and the pain of Cuthbert and Eata who argued for the Celtic Christianity of the north. Geography, on a practical level, was of course key to both arguments as what works in the sunny south does not work in the cold north. Poor lads – they even had to accept the Roman tonsure. Earache from the Northern blasts while the priests in Rome had a suntan. Thanks Anna. Credo by Melvyn Bragg covers this time period really well from a fictional sense. I’ve just gone past the Synod decision. King Ecgfrith is torturing any Celtic monks who don’t look right or practice in the Roman way. I’d love to know how much of this book is truly of the imagination and how much comes from research, because Cuthbert was said to be very close to Ecgfrith…. 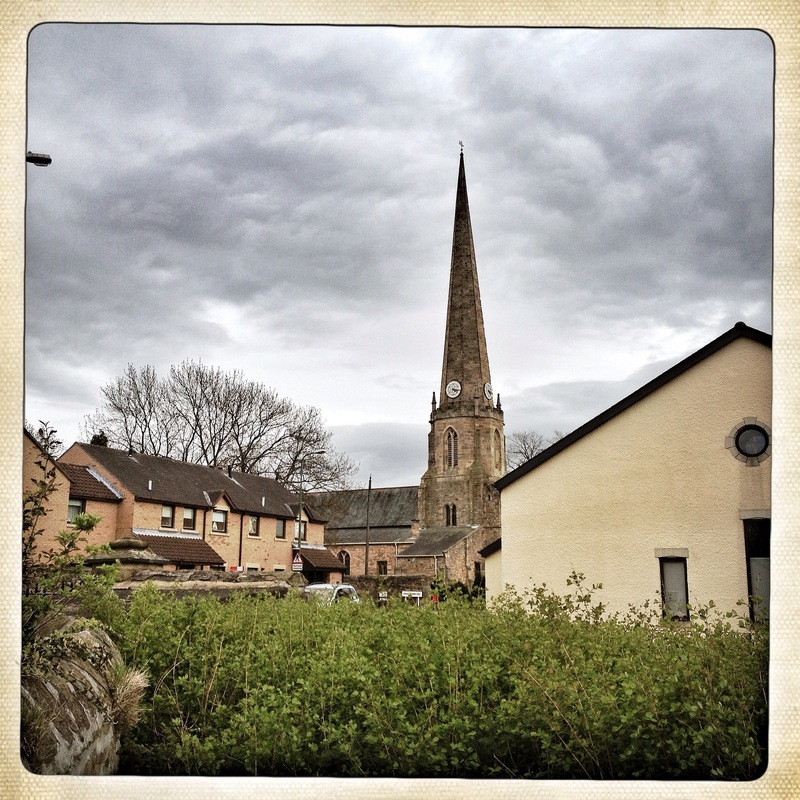 This entry was posted on June 14, 2013 by richardwhardwick2013 in Blogs by Richard W Hardwick, Chester-le-Street, Ripon and tagged abbot eata, chester le street, chester-le-stret, community of st cuthbert, dunholme, paul alexander knox, richard w hardwick, ripon, ripon cathedral, st cuthbert, st wilfrid.